Looking for a great recipe and food WordPress theme for your gorgeous blog? If you are a food blogger, food critic or just a lover of good food wanting to build your own recipe and food blog then these beautiful food oriented WordPress themes will help. Below is a collection of best and premium recipe and food WordPress themes that will inspire you to start blogging and share your recipes. Bon appétit! Looking for more food related WordPress themes? Then visit our collection for Wine shop or Wine Restaurants websites or for WordPress themes made for Organic Food or Eco Product Shops. Any small, medium or large eco-food, organic food online store or blog can use Organicum theme quickly. Minor complaints aside, Organicum has very accurate and outstanding design. The theme is completely responsive for viewing on tablets and other mobile devices, and the beautiful theme design is clean, elegant and includes an additional and unseen menu for viewing in mobile landscape mode. 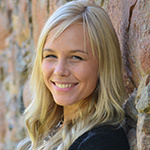 Add links to your social media profiles so you can connect with your fans on their preferred social media network. Create full-width mega menus or normal sub-menus at the same time, choose mega menu layout with or featured posts. Add widgets to one of the columns of the mega menu and create any layout you want. The theme is translation Ready and you can translate your website to your own language. 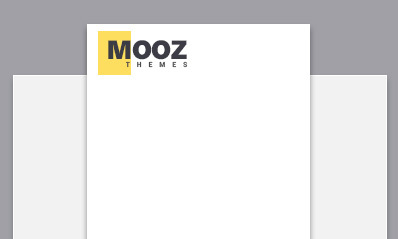 The theme includes .po & .mo files for easy translation. One of the key features of Organicum is built-in WooCommerce compatibility. After installing the theme, just click activate the malleable and impressive WooCommerce plugin. The Organicum theme is ideal for an eco-food, recipe or food websites. This Organicum is built with the latest web development technology and fully integrated with convenient tools that make theme customization very fast and easy. Try Organicum now, and let the world see what you do. Recipe is a contemporary, bright and versatile WordPress theme when it comes to members who submit recipes as well as for the people who read them. The WordPress theme developers certainly took their time with Recipe WordPress theme, because they spent considerable time finding latest design trends from a recipe and culinary blogs. Recipe WordPress theme is ultra responsive, your on line web page will adjust to shows on all types of devices. The advanced Revolution Slider is within the theme to produce creating slides quickly. The theme is now fully appropriate for WPML. This theme will be based on the latest twitter bootstrap framework. The recipe is extremely well-known WordPress theme with over 300 sales. Recipe gorgeous design focuses on your content, and it is perfectly designed for a minimalistic and beautiful recipe web site! If you'd prefer writing about food, collecting information and sharing it because of the people, Tasty Food is the right recipe WordPress theme for your needs. Delicious Food is a modern and desirable, compelling and elastic, user-friendly and intuitive, cautiously made theme. The theme may be used for the recipe, food, eco-food or other creative and well-organized look website. The super innovative theme features are modern and appealing, making it easy to do business with. You can customize your site using built-in efficient admin panel, set your logos, social media buttons, custom colors and much more in just a few clicks of a mouse. Tasty Food is extremely practiced design with multiple header styles, and you can also add more styles using settings panel. With color picker in the options panel, you may make your site more dynamic. 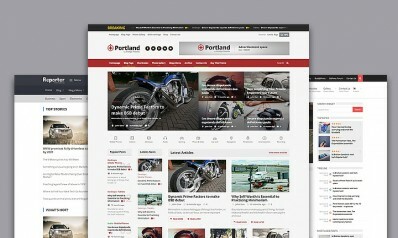 The theme is completely responsive for browsing on tablets along with other mobile phones. Every single element has its own specific short code, as visitors can implement it on any page. The versatile theme that may certainly satisfy your needs. With a highly intuitive, functional, plain and carefully designed interface and useful theme options, it is possible to instantly create a workable website applying this slick theme. 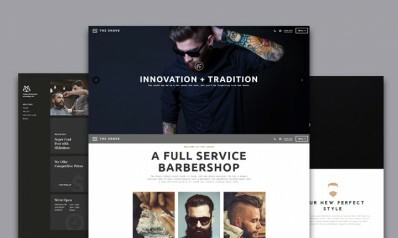 INK is another polished blog theme with a simple and responsive design. Specially designed for Food and cooking blog. INK WordPress theme is entirely responsive, and your web page will adjust to displays on various types of devices. With INK theme, you are going to control every component of your site. You will find the bunch of pre-designed homepage styles and 14 different demo layouts you can make use of. INK is packed with detailed documentation helps to ensure that your site is going to be installed and operating immediately after purchasing the theme. Overall, INK is a modern theme with sleek typography and creative design, ideal for new WordPress users. Food Recipes is a light, elegant WordPress theme for recipe & food related web sites and blogs. 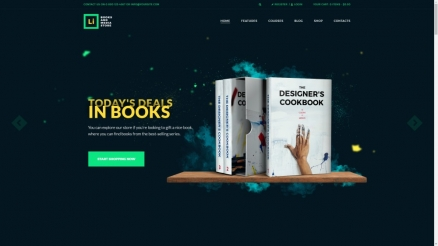 Food Recipes is sold with useful features and handful of premium plugins & sliders, such as - home page with 5 slider design variations, recipe detail page, services page, blog posts listing page, FAQ page with toggle effect and many other things useful. Food Recipes are packed with extensive text and video documentation you’re all set right away at all. It’s been rocking on ThemeForest and produced more than 400 of sales. Food Recipes could be the perfect option for food related web site! Piemont is another graphically outstanding WordPress blog theme with a precise and responsive design. Piemont WordPress theme is good for a food blog. Your internet site is going to be modern and responsive, as a result of Bootstrap framework providing flexible responses, smooth transitions and animations. Theme support one-click installation, so you just want to choose the theme and it will do the rest from A to Z which will make your website up. In addition, it features custom widgets that let you incorporate useful elements in your site. It is possible to personalize your theme by choosing on the list of 5 unique homepage layouts and choose the perfect design that represents your brand name and identity. It’s been rocking on ThemeForest and produced a lot more than 800+ of sales. Blogly is a contemporary responsive blog theme with shiny typography, adequate white space and a lot of features. Blogly is a refined and premium theme developed using the latest approach in web building. Blogly theme is good for Food blog. Applique is an elegant, clean design, light, fresh and creative WordPress blog theme for Food bloggers. With its outstanding look filled with trendy design styles and features, it is possible to rock on the web. 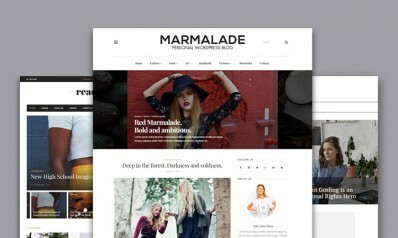 Applique theme is 100% responsive, SEO optimized, clean coded, retina ready. Theme is made centered on Twitter Bootstrap technology for quick and easy website development. Theme support one-click installation. It also features custom widgets that allow you to incorporate useful elements on your site. Overall, Applique is a elegant theme with sleek typography and stylish design, perfect for new WordPress users. Caress is an entirely advanced, neat and fresh-faced, vibrant and simply personalized, flat and modern responsive WordPress blog theme for Food bloggers. Caress blog theme constructed with creativity and a minimalist approach. This WordPress blog theme is extremely flexible plus it lets you run various types of useful features and functionalities. It comes with useful features and handful of high-quality plugins and sliders, such as - fully responsive, 14 blog layouts, excellent drawer display, smart, sticky sidebar and more useful. All submitted images are immediately resized - no plugin required. Caress fashionable design centers on your articles, and it is ideally suited for a seriously, unique and light Food blog. Grain & Knot is a creative, beautiful and stylish WordPress theme perfect for recipes and every food blog. This Grain & Knot is built with the latest technology. It comes with useful features and the couple of premium plugins & sliders, such as - video, audio post formats, unlimited accent colors, the builder in color picker, sidebar left or right, full-width grid layout and much more. Grain & Knot have advanced recipes options with many useful features like a: recipes template with recipes slider and loop, recipes slider with the bunch of choices, new recipes widget and so on. With Grain & Knot you can easily create your food blog without any coding skills. Grain & Knot is packed with extensive documentation is all that you need to turn a beginner into an expert. With Grain & Knot you can create your own clean and stylish food blog! Neptune is a beautiful, creative, light and full of features WordPress blog theme which is suitable for Food bloggers, chefs, and other food publishers. With its innovative look full of trendy design styles and features you can rock on the internet. Neptune theme is ultra compatible with WPML plugin, include customization features to alter the look of your blog is packed with WooCommerce plugin and built on a reliable and secure HTML5 & CSS3 code. The theme comes with WooCommerce integration, which means that you can sell your products, recipes. This theme is WPML certificated, offering multilingual support for all its customers. What’s more, Neptune comes with 700+ google fonts. Neptune blog WordPress theme is with optimized code for both speed and search engines. The perfect choice for Food bloggers who want a beautiful site. Spiced Blog is a perfect choice for almost any type of food, recipe, personal blog, cooking website. This premium theme is visually stunning, beautiful light. One of Spiced Blog’s most essential traits is that WordPress theme has an extensive number of features. Spiced Blog theme is With a clean and valid website structure and entirely responsive layout, the viewing and reading experience is perfect for all types of devices. The flexible Revolution Slider was added, free of charge. It is a premium plugin that allows users to easily construct their sliders and get website perfect look in a matter of minutes. Thanks to the one-click install feature, you can build a fully-functional website in a moment. Choose from 650+ Google fonts to make your site more unique and elegant. Spiced Blog blog WordPress theme is optimized for search engines, increase your chances of getting noticed by potential visitors. Overall, Spiced Blog is an innovative theme with clear typography and polished design, perfect for new WordPress users. Gullvy is a unique, creative, stylish, and beautiful WordPress blog theme ideally suited for food bloggers, chefs, recipes makers, and cookers, to show their posts beautifully and creatively. This theme will definitely improve your website and attract more visitors. One of Gullvy’s most considerable traits, is that premium theme has an extensive number of features like a - 3 different blog styles, infinite scrolling, child theme ready, typography customization and so on. It is always nice to have a website with WPML support, this makes your website navigation texts translatable. Choose from 650+ Google fonts to make your website more creative and stylish. Gullvy modern design focuses on your content and is ideal for a modern cookers blog. Avocet is a creative, modern, unique, responsive blog theme with plain typography, sufficient white space and lots of features. This WordPress blog theme special created for lifestyle bloggers who write primarily about fashion, travel, and food. It’s very powerful, and it has all modern features you need for your website. Avocet WordPress theme is theme layout is ultra responsive, capable of displaying content on tablets, smart phones, and desktop computers. The theme is now fully compatible with WPML. Your website visitors will be able to contact you, as Avocet has incorporated the popular Contact Form 7 plugin. It’s compelling, and it has all modern features you need for your website. There are 4 creative and stylish looking layouts for your home page, so choose the one that is right for you. Avocet blog WordPress blog theme is search engine optimized and ready to handle any website type and with extensive documentation. With Avocet theme you can create your own beautiful and stylish recipe blog. Enoki WordPress blog theme is clean, modern and seriously theme to show your content stylishly and cleanly. Enoki is specially made for food blogging, recipes, restaurants, Cafe, food photography, personal blog and much more. This Enoki is built with the latest technology and fully integrated with useful tools that make theme customization very fast and easy. Enoki theme is completely responsive, retina ready, radically compatible with WPML plugin. The theme is compatible with the WooCommerce plugin, allowing the user to earn money from selling products online by using a safe and easy to understand system. It is always nice to have a website with WPML support. This makes your website navigation texts translatable. A widget-based Contact Form 7 plugin is a user-friendly way to create contact forms that stand out. There are many modern looking layouts for your home page, so choose the one that is right for you. What’s more, Enoki comes with 600+ google fonts. Enoki blog WordPress theme is optimized for search engines, increase your chances of getting noticed by potential visitors and with extensive text and video documentation you’re ready to go in no time at all. Overall, Enoki is a versatile theme with sleek typography and polished design, perfect for new WordPress users. Basil Recipes is a flexible, simple and elegant WordPress theme and is a solid choice for cookers and creative recipe web site. One of Basil Recipes’s most considerable traits, is that theme has an extensive number of features like a - recipe favorites list, user profiles that can display their submitted recipes, unique recipe slider, powerful recipe editor, video support on recipes and much more. The theme is compatible with the WooCommerce plugin, allowing the user to earn money from selling products online by using a safe and easy to understand a system. This theme is WPML certificated, offering multilingual support for all its customers. It also features custom widgets that let you incorporate useful elements on your website. Basil Recipes is a visually stunning WordPress theme. Chow is a simple responsive WordPress theme with plain typography, abundant white space and lots of features. Chow is a genuinely culinary WordPress theme, and this recipe theme will let you share all your recipes and cooking tips. Thanks to the chow dashboard, registered users will have the option to store their favorite recipes and submit their own recipes. Chow comes with useful features like a - recipe creator, foodie press plugin (creating and managing recipe data in WordPress), reviews system, 3 layouts to display posts, left or right sidebar, localization and much more useful. Chow theme is responsive design for a design that works perfectly on all devices – from desktop to mobile. Thankfully, this theme has integrated the WooCommerce plugin, which helps you sell your products with ease. What’s more, Chow comes with 600+ google fonts. Overall, Chow is a beautiful theme with plain typography and simple design. This versatile theme is built based on Bootstrap technology and coded using valid HTML5 and CSS3 techniques. With Cook Traveler you can easily create your Food and Travel blog without any coding skills. The perfect choice for creative and beautiful blog.